Even though 2011 has only just begun, Sega has wasted no time in kicking off their celebrations for Sonic and Puyo Puyo’s 20th anniversaries with teaser websites. 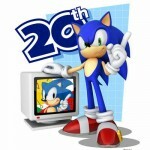 While there’s very little in terms of information, Sega also released two images: one of Sonic with an item monitor and one of the official 20th Anniversary logo. 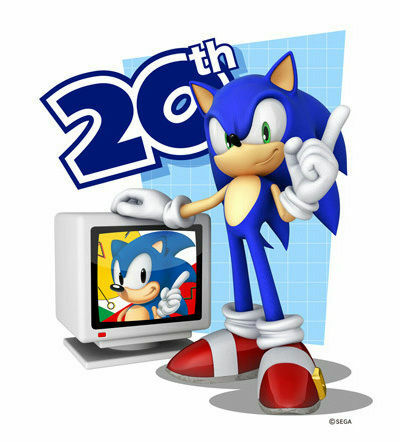 A pop up on the site when clicking the logo gives information about the debut of Sonic and the fact that the brand has sold over 70,000,000 units globally since June 23, 1991. It goes on to tease future games for the franchise in 2011, of which we know there are three more projects to be announced this year according to Allan Pritchard, executive vice president of sales and marketing at Sega of America, in a recent interview with Game Informer.